Deliberate handling of the ball in soccer is an offence which is culpable by regulations and standards. Handling it, like Henry did near the end of France’s World Cup qualifying match with Ireland, before passing to Gallas to score makes it blames aggravating. Surmised circumstances that can be imaginatively contextualised includes Henry’s coaches supposedly had encouraged cheating which holds quite not possible a proof. Culture may mitigate blameworthiness; unfortunately 82% of French people dislike how France qualified, given cheating is not typical of French culture as well as not typical of Henry’s career as a footballer. Should FIFA have rigged to put a big name country on the world cup qualifier list, by putting a referee with history on a crucial match to decide the next world cup qualifying team, blame would be mitigated of Henry, but be of FIFA’s. The culprit consolation, only after he had celebrated the goal sounds rather hypocritical to many and worse still, a subsequent pass of the buck to the referee. Now, who is to blame, perhaps there still exists a regulation body that should appoint competent personnel over any critical match and subsequent comply or explain standards should rule whenever the personnel fails to comply his duties. 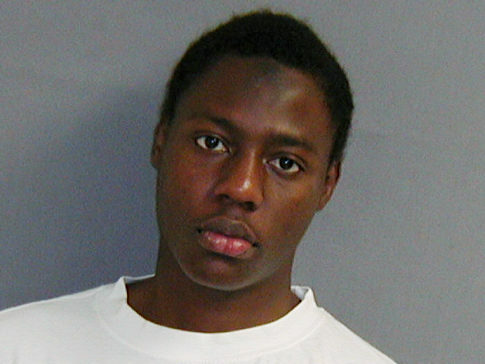 An exceptional case of a Nigerian youth which is in no way similar but entirely explains how failures of a board would entirely announce culpability of a region, group or sect of people is the imminent case of terrorism by Umar Farouk Abdulmutallab in his bid to detonate a bomb on a flight to Detroit, U.S.
Culpability in Umar Farouk’s random act is not of culture. There has been nothing of such in existence of history in Nigeria as a nation or of a Nigerian as an individual. Perhaps blame would stem from religious strife formerly carried out in the northern part of the nation, however, it might mitigate blame to say that violence were never abrupt, as to bombing of innocent people without basis. It was a war between fanatics and violence was only perpetrated when a rival fails to acknowledge the existence of another religion, for example Muslims would ask if you were a Christian and you oppose Islam before they carried out their deadly acts, although that in itself is outlandish. If that does not satisfy, as 82% of French people dislike the manner in which France qualified for the world cup, only 6 days after the news of the devilish act, it is not surprising to see over 56, 000 Nigerian youths on a social web group page all singing one song, “We Condemn Umar Farouk Abdulmutallab's Action: Nigerians are NOT Terrorists “. Suffice it to say that culture mitigates, Nigerians are not and have never been known for terrorism. To further stress how culture does not impose a threat, the Father of the so-called culprit had earlier informed the American embassy in Nigeria of the suspect’s idiosyncrasy, perhaps the quirk is a disturbed eccentric individual. Similarly, President Obama admits system failure and considers it unacceptable for a warning since November not to have placed the alleged on a no-fly list. It is imperative to note that this is enough indication that the failures of a body that is aimed at solving and preventing crimes and terrorism could do well to tarnish the image of the happiest people on earth and quite often too as others have always done. While I rest my rest my fingers from this keyboard, I won’t fail to but mention that Nigerians are fun and peace loving people. Our social vices do not in any way define us and of course terrorism is not and never will be one of those things we would condone.